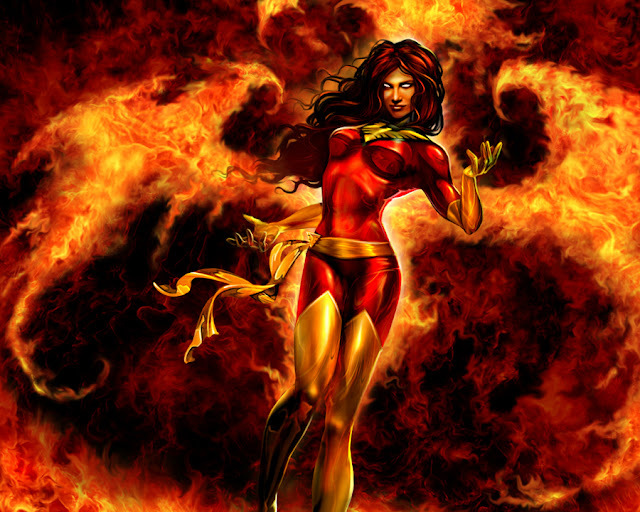 Jean Grey is the well known character from the X-men. 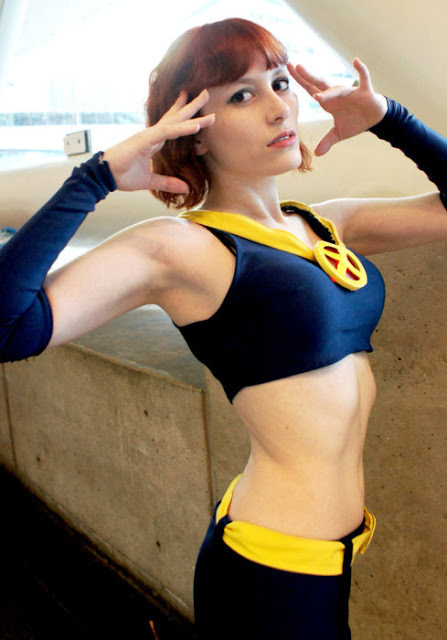 She has been known under the aliases Marvel Girland later, Phoenix and Dark Phoenix, and is best known as one of five original members of the X-Men, for her relationship with Cyclops, and for her central role and transformation in the classic X-Men storyline, "The Dark Phoenix Saga". 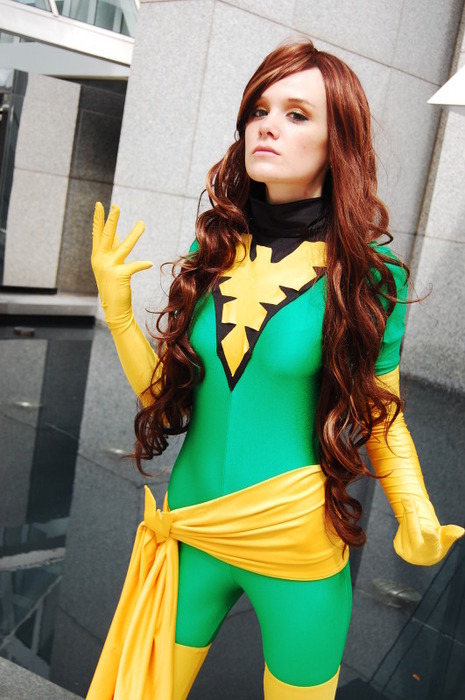 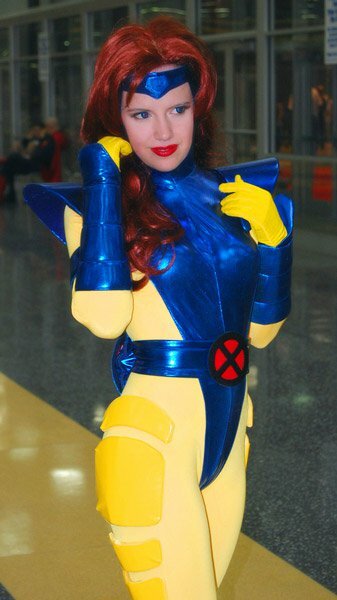 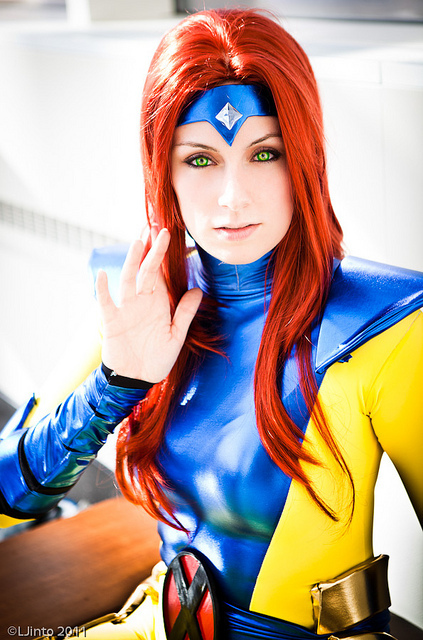 Given the character's longevity her beauty and hot body, Jean Grey is a popular cos play choice. 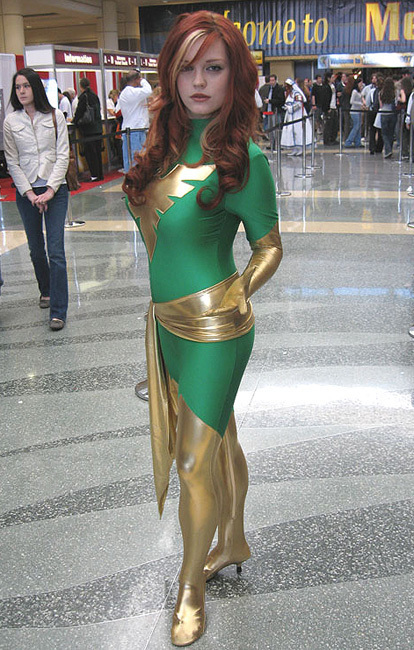 The great Grey Green Greasy Limpopo River cosplay? 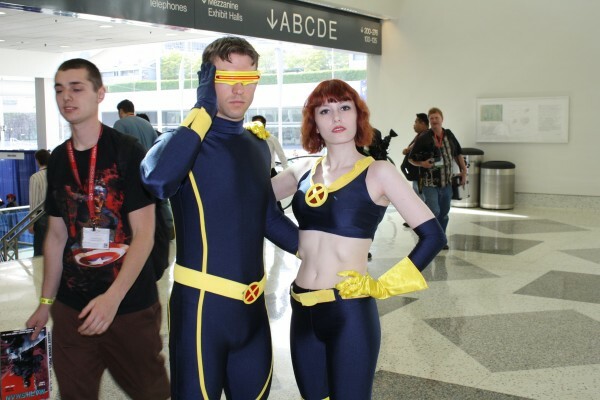 Want more cos play action? 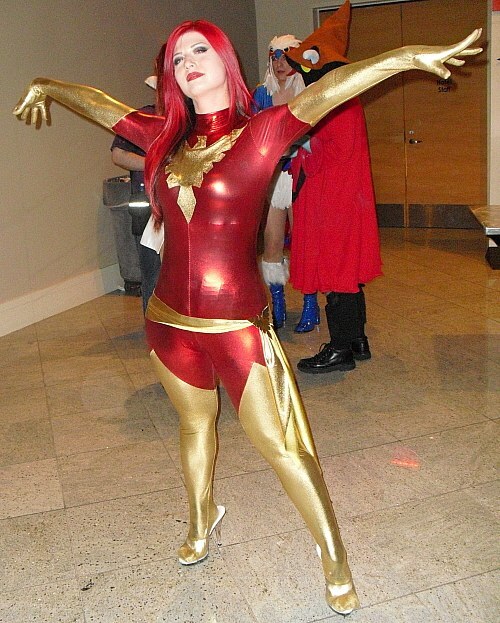 Check out the ever popular Power Girl.